Bluetooth को telecom vendor Ericsson ने 1994 मे invent किया था | इसको शुरुआत मे RS-232 data cables के alternative के लिए बनाया गया था ! ब्लूटूथ की maximum range 10 meters (33ft) [Class 2, most commonly found in mobile devices] होती है ! 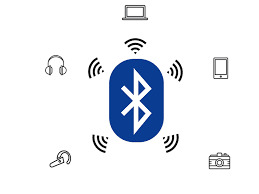 How Bluetooth works? ब्लूटूथ काम कैसे करता है !